"Sunsets are proof that endings are beautiful, too. " 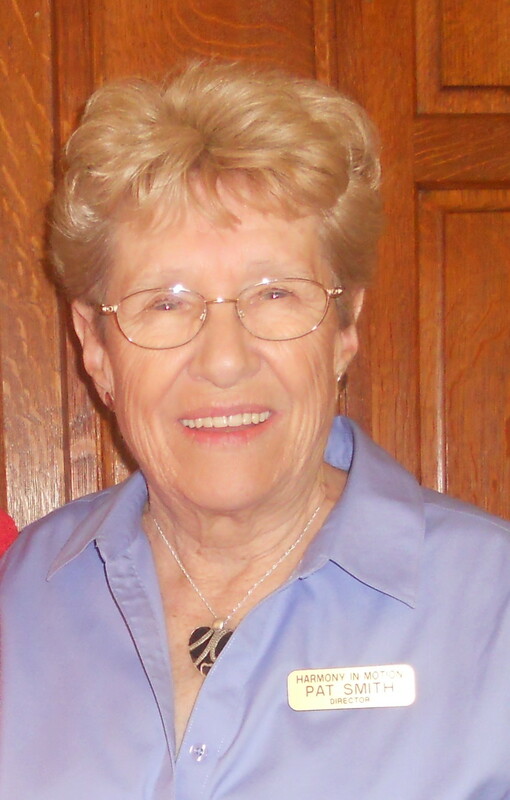 We will miss our special Sister in Harmony, Pat Smith, who passed away peacefully at home on April 27, 2018. Pat became a member of Harmony in Motion over 27 years ago singing bass for the chorus. She also sang bass for one of Harmony in Motion's most entertaining quartets, The Musical Exchange, for fourteen years. In 2005, Pat left the risers to become Director of Harmony in Motion for almost a decade. She was a very special lady who was loved and will be missed very much by her "Sisters in Harmony." Our rehearsals are always open to potential new members. Come visit us on Monday night at United Methodist Communities at Bristol Glen from 7:00-9:30 pm! Harmony in Motion is a non-profit organization dedicated to the promotion of women's a cappella singing in the barbershop style through quality performance and education. Our members are of different ages and backgrounds but are united by a common love of singing. We aspire to achieve musical excellence while creating a spirit of unity, enthusiasm, and fun. Each individual member is given the opportunity to realize her greatest potential within the group. Want Harmony in Motion to sing at your next function? Why not hire Harmony in Motion to entertain at your next event? We can perform at corporate functions, charity events, community entertainment events, birthday parties, Christmas parties, awards nights, weddings, engagements, anniversaries, school programs, and scouting events.